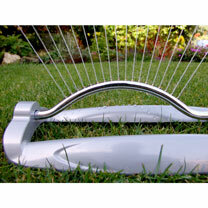 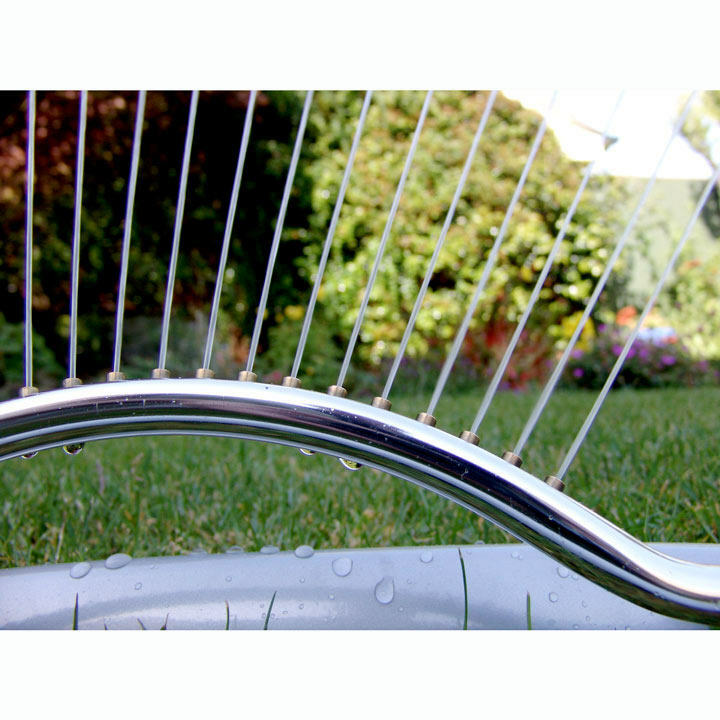 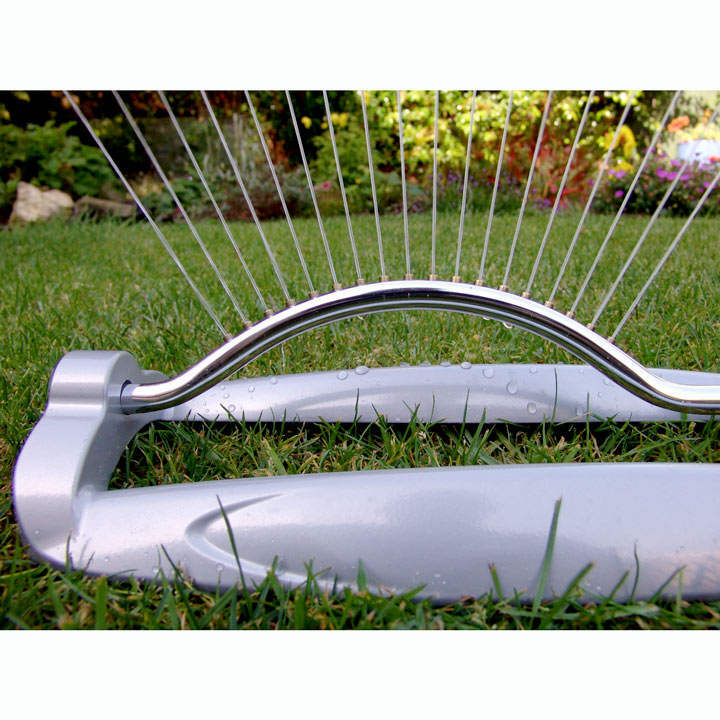 This metal oscillating sprinkler ensures that your lawn and plants are watered easily and effectively. 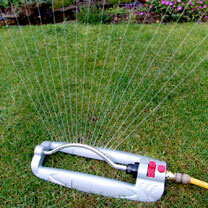 It has a durable metal base that is painted finished, as well as brass hose connector attachment for a half inch hose. 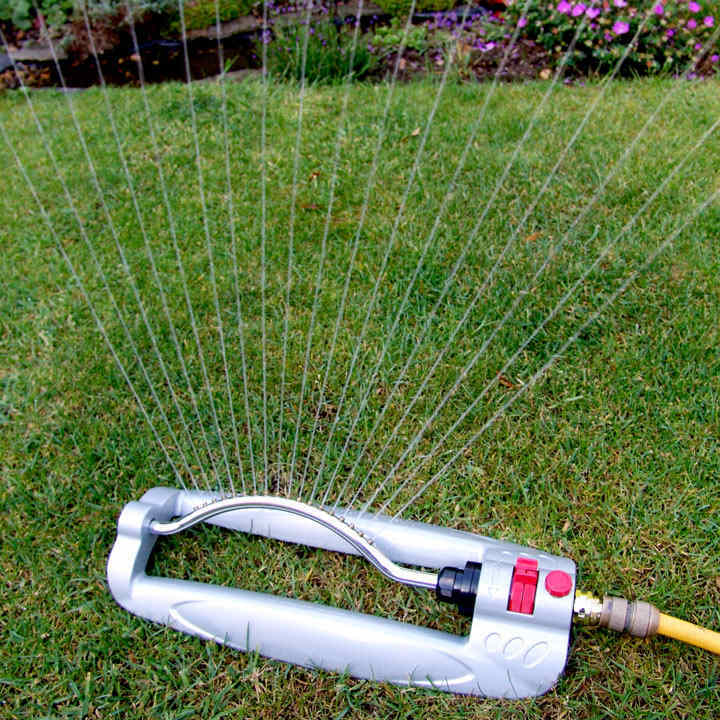 Sliding tabs allow for variable coverage adjustment on the 18 brass jet nozzles, and there is a built-in flow control for maximum adjustability. 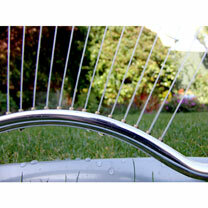 There is also a built-in cleaning pin to clear blocked nozzles.